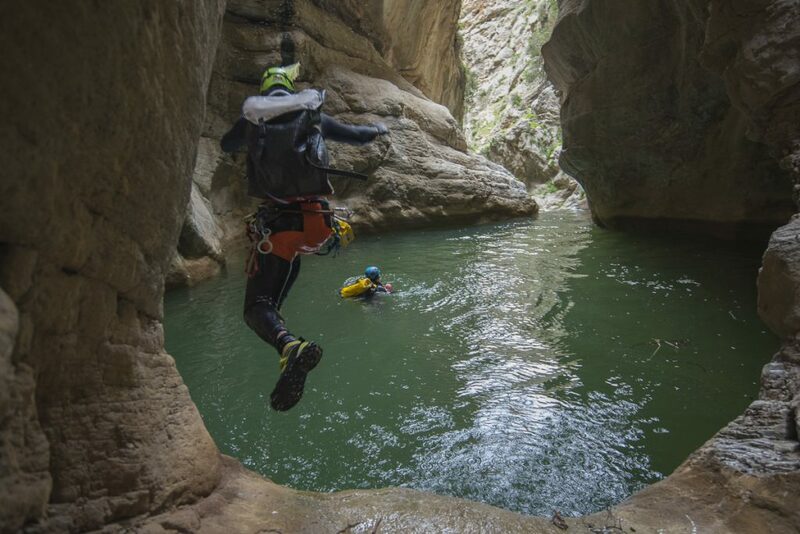 Canyoning expeditions are always a thrilling thing to do. Especially the ones that happen on the islands where you have to fly to. Last days before departure are always on rocks, since we have to pack all the gear and keep in mind the weight limit. 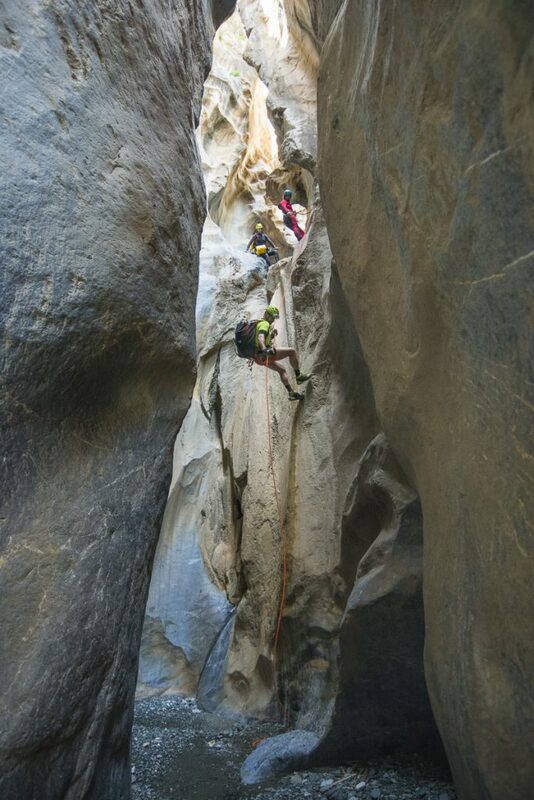 That’s one of the most frustrating things in a canyoneers life. Especially because it always happen that I have to pay for another piece of luggage… But that’s the part of the game. So when everything is packed and prepped, it is time to fly. And then rent the car. Fortunately this year luck was on our side. We got car that was roomy enough for our gear and our butts. I guess Skoda Roomster is named like that for a reason. After getting the car and eating first Gyros we were set of to go into the wild. 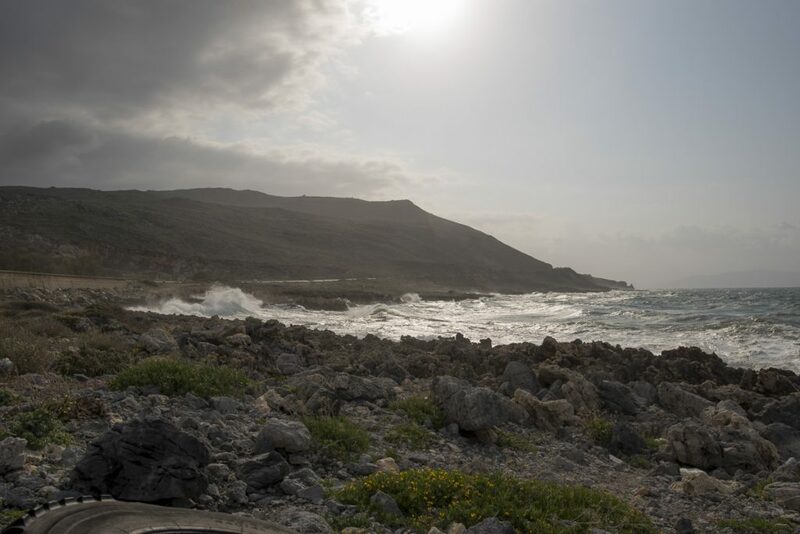 6 days on greek island Crete was waiting for us and our adventures. After each rain there was morning. We did 4 canyons together. We started with Hâ, the canyon that happened to appear when two tectonic plates decided to go their own way. Huge crack happened between to mountains and water found is way to the bottom of the valley. Canyon itself is quite interesting. Prologue is like walking in the jungle. First waterfalls are quite uncommon for us, mountain canyoneers since they are covered with ivy. 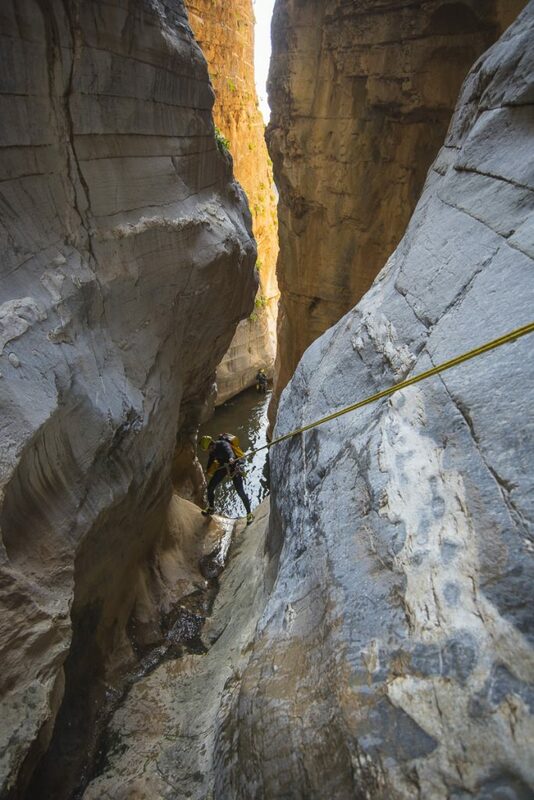 However, this canyon is really not the one for the ones that say that water in a canyon is a must. 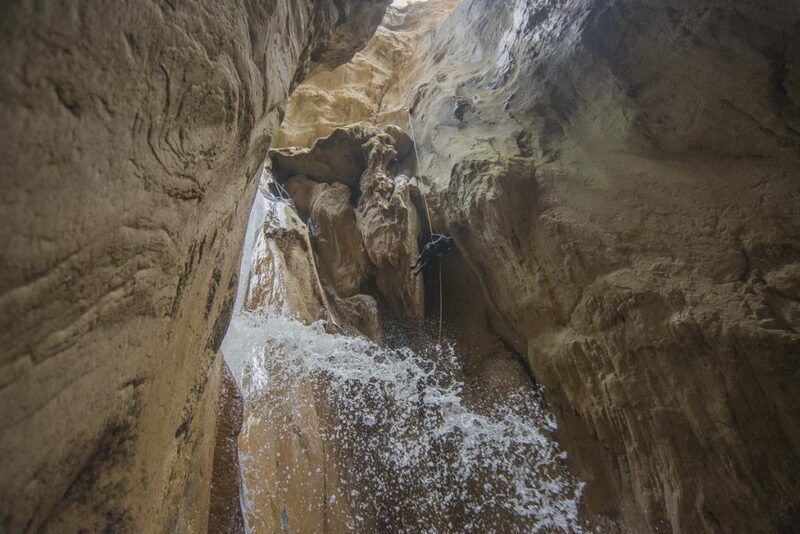 After couple of abseils water disappears. 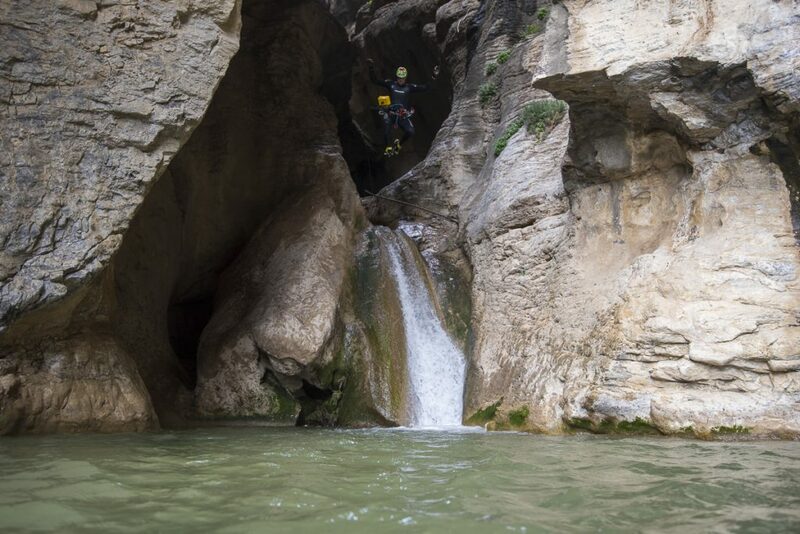 And the dry canyoning kicks in. But wetsuit stays on since the pools are still wet and cold in March. 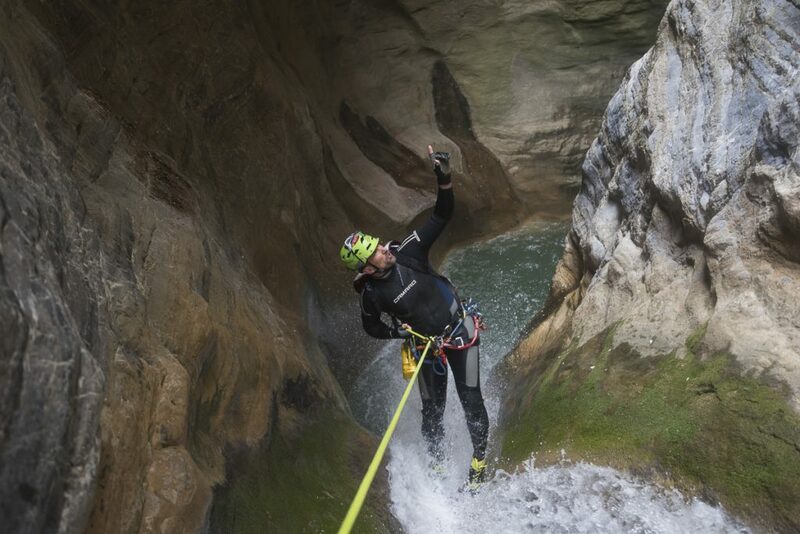 There is few impressive abseils and we managed to do few jumps as well. We also tasted the climbing out of pothole using water hose that is attached to the top. It was quite demanding, but even girls made it without support. Well done! On the next day we decided to have easier day, since we were a bit tired from our midnight visitor – rain. We did Kalami II. Approach hike was a bit challenging since there is no official path. But man figures made of stone helped us to get to the top. But then the disappointment came. This one was completely dry. So no aquatic fun. But during the trip it started showing its true face… It is not about the water. It is about the beauty of it. 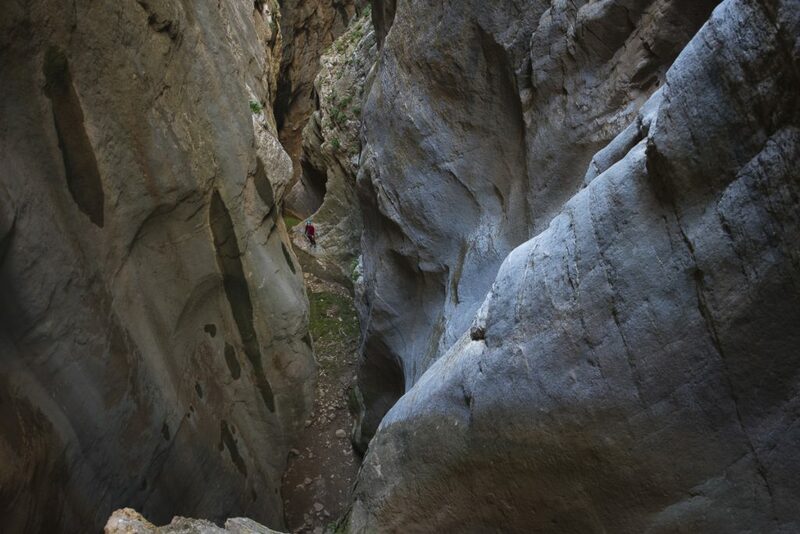 Canyon walls are carved amazingly and it definitely deserves its place in the upper part of my favourite dry canyon list. 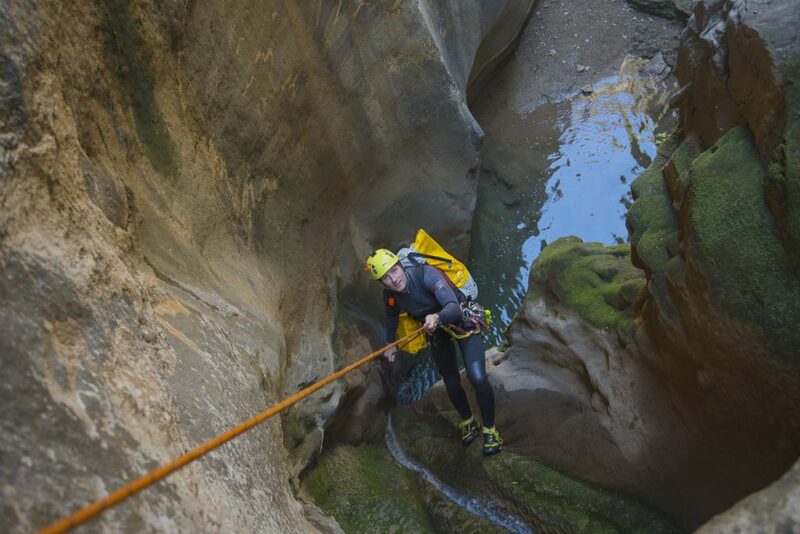 On fourth day on the island we decided to do Arvi canyon. The canyon with highest rating on the island. And to be honest, the rating is deserved. But I still think it is overrated, since it is not that intact as we are used. 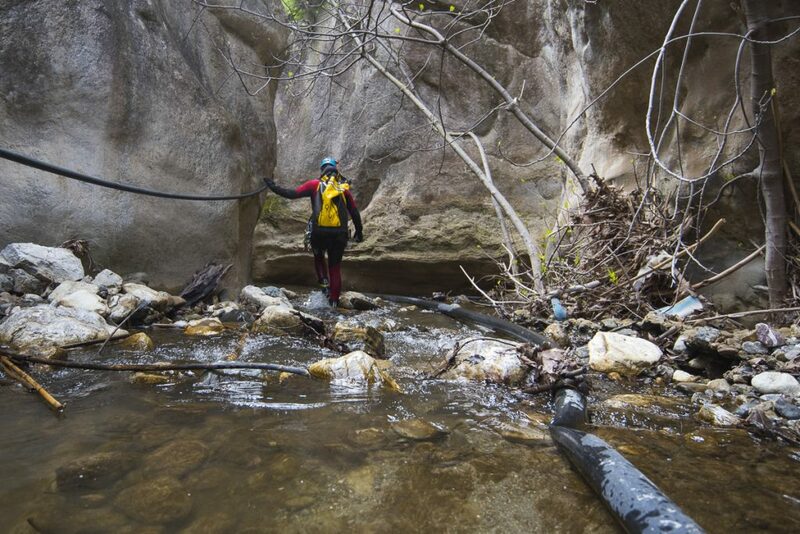 Local farmers have installed the ugly black pipes that are taking the water out of the canyon to water their plants. Not only the pipes are like scars in nature, the problem is when there are being replaced, old pipes are discarded into the canyon. 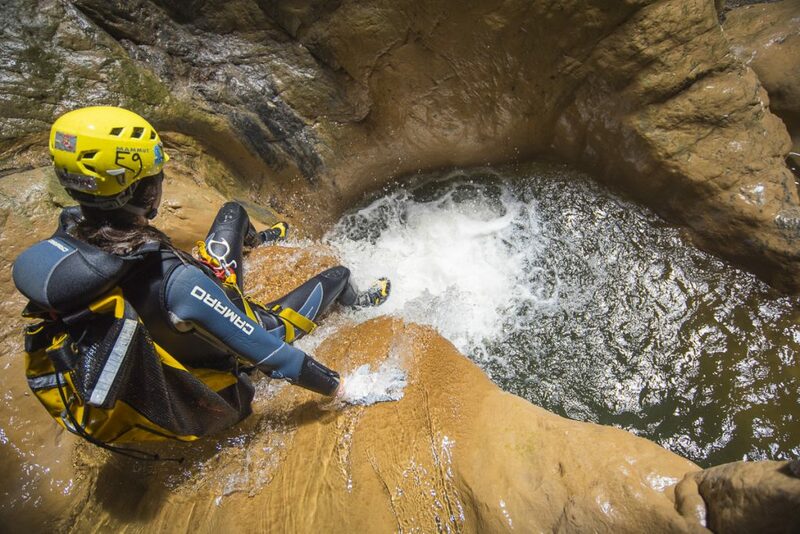 That is huge risk for us canyoneers, since our foot can get easily stuck behind pipe. 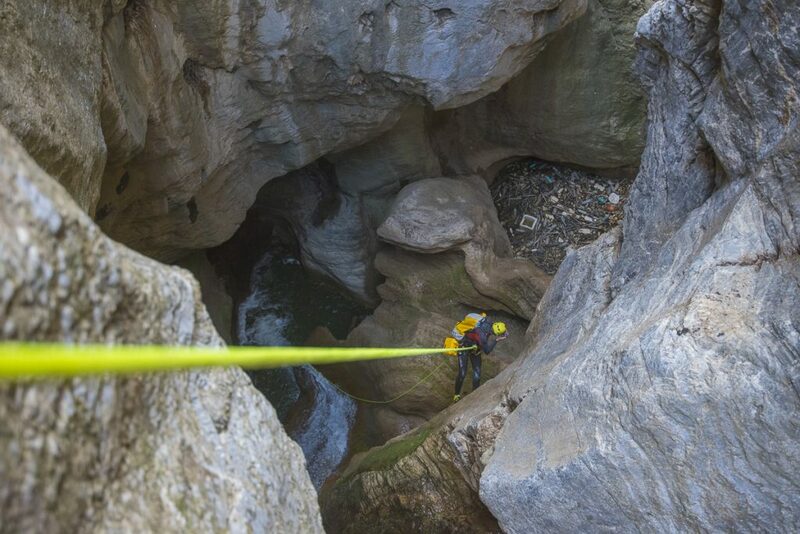 Such incident happened couple of years ago in the same canyon and the women was rescued just minutes before she was dead. 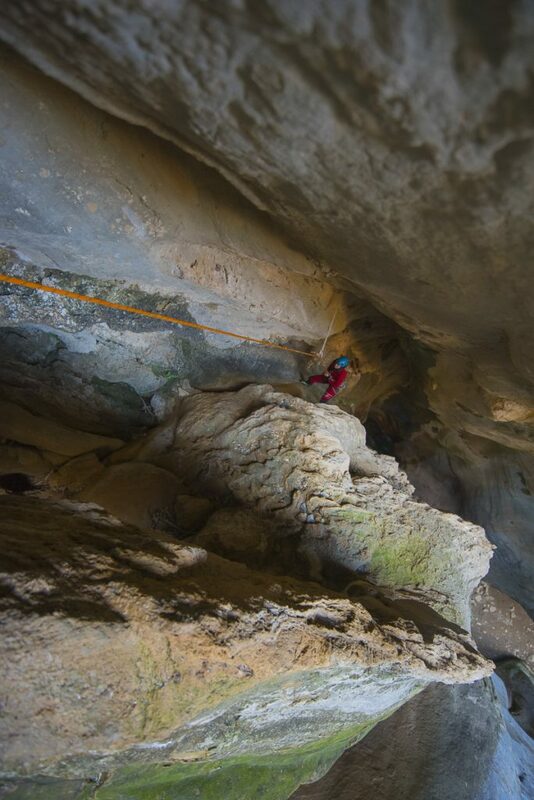 Beside pipes, the canyon is amawzing. 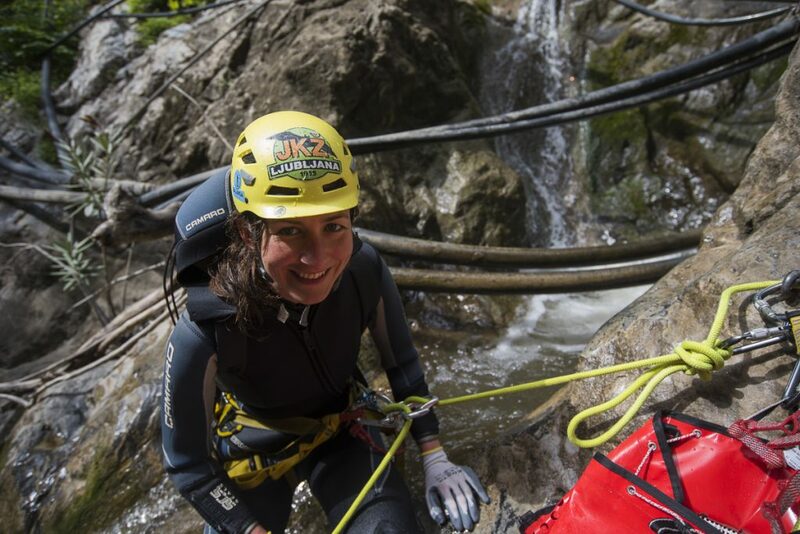 Water level was just perfect, nothing challenging, just pure fun canyoning. 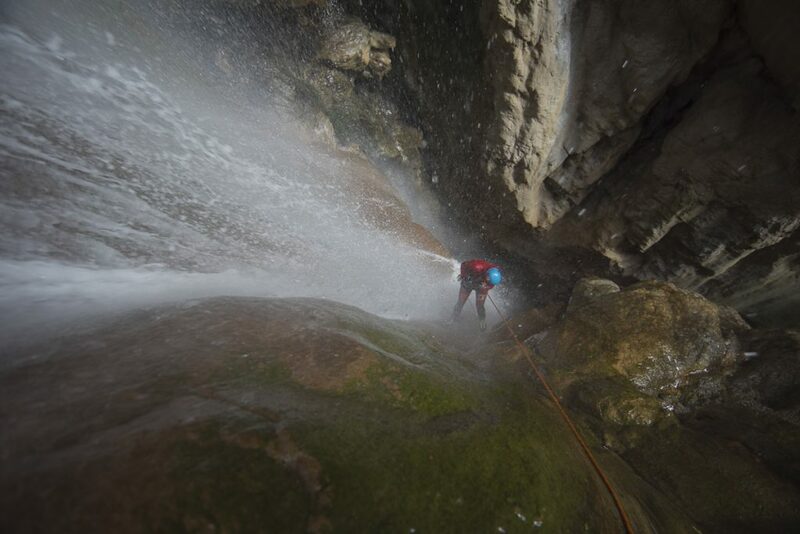 The highest waterfall is 80m and we decided to do it in two pitches. I had a pleasure to be in the middle anchorpoint, hanging on two bolts 50m above the ground for half an hour, waiting for whole group to pass by me. You should see their eyes while approaching to me. 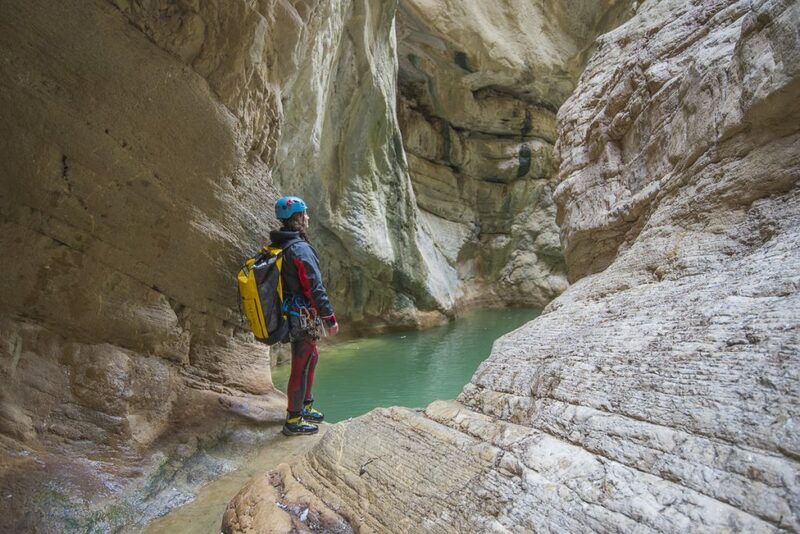 That reminded me about Sponde canyon in Swiss canton Ticino. Amazing canyon as well. The lower part of Arvi is ruled by the darknes. But even there some rays get in and create mystical atmosphere which is just amazing. Arvi is worth doing. And on this place it is fair to mention the farmers. 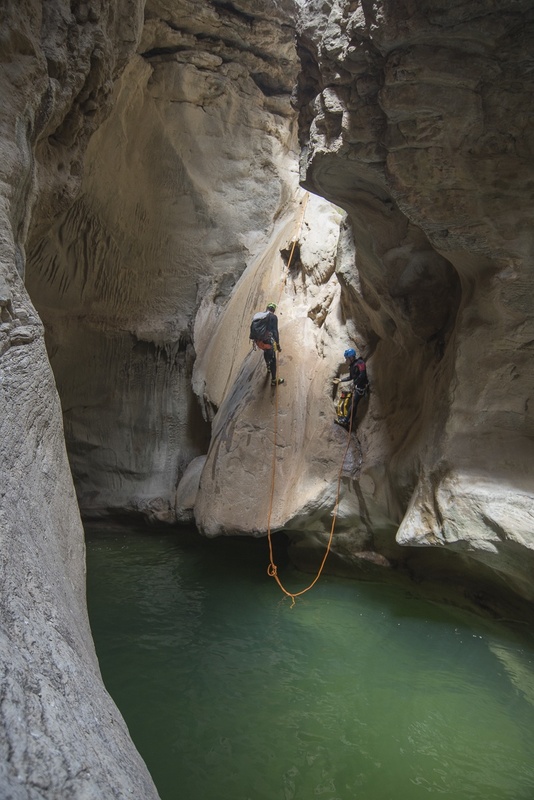 Beside taking the water out of the canyons, they are good hearted. When we were taking off the wetsuits the farmer approached us and handed us whole armful of local cucumbers. It was small gesture but it tells a lot about the warm locals. And last but not least was Portella canyon. It is the longest one we have done in whole week. And I would say the most polluted one from the beginning. In the beginning there are plastic bags “growing” from the threes and first big pool is filled with plastic bottles and canisters that are floating on water like cream on coffee. 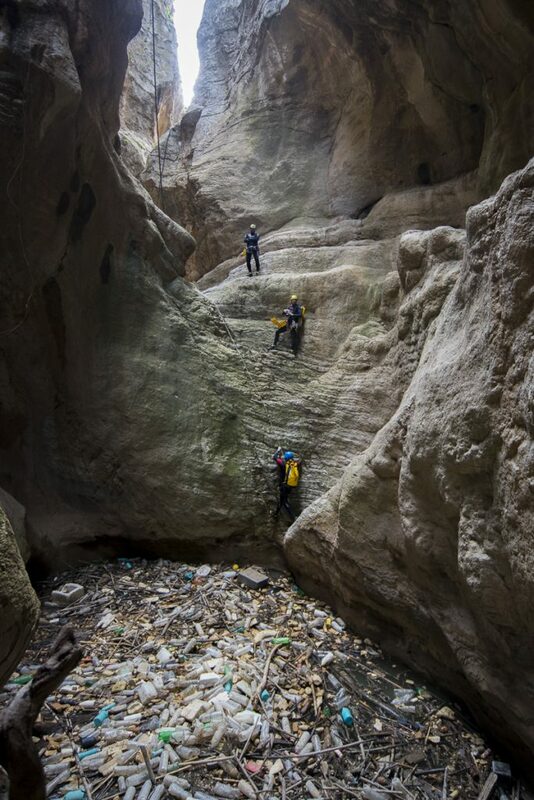 And also climbing out of this canyon was story of itself as well, since it was a pothole. But then the magnificent canyon showed its beauty. 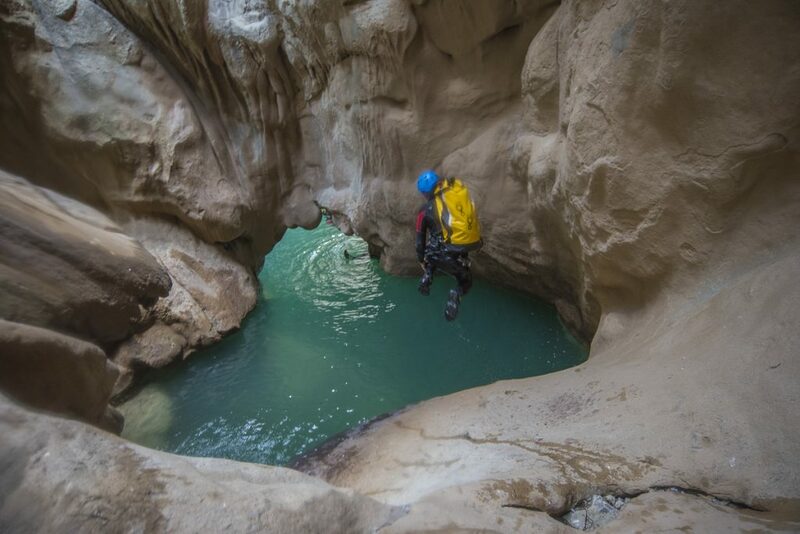 Countless beautiful pools with green water and nice abseils. From time to time the water disappeared but there was always some new source so there was still fun. 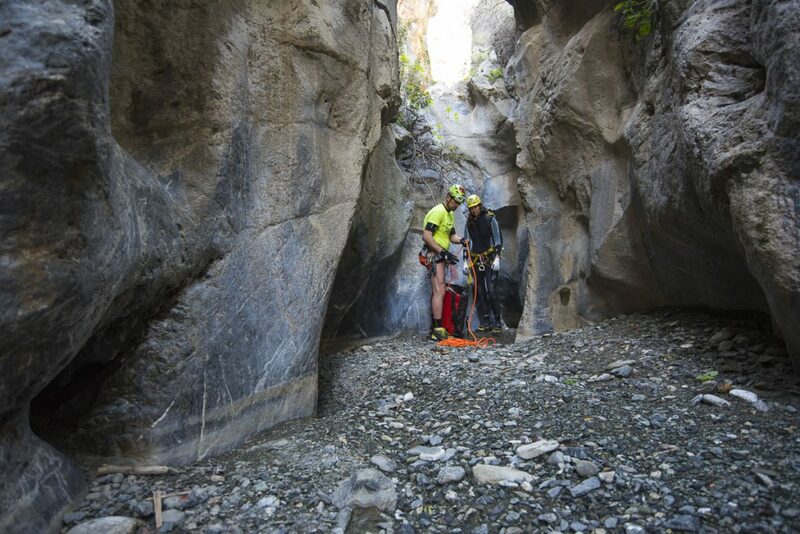 I have to mention that there is thermal source in the lower part of the canyon. It is just amazing to jump into the water expecting it would be cold, but then it has like 20 degrees Celsius. And it really is a nice surprise after 4 hours in the cold canyon. 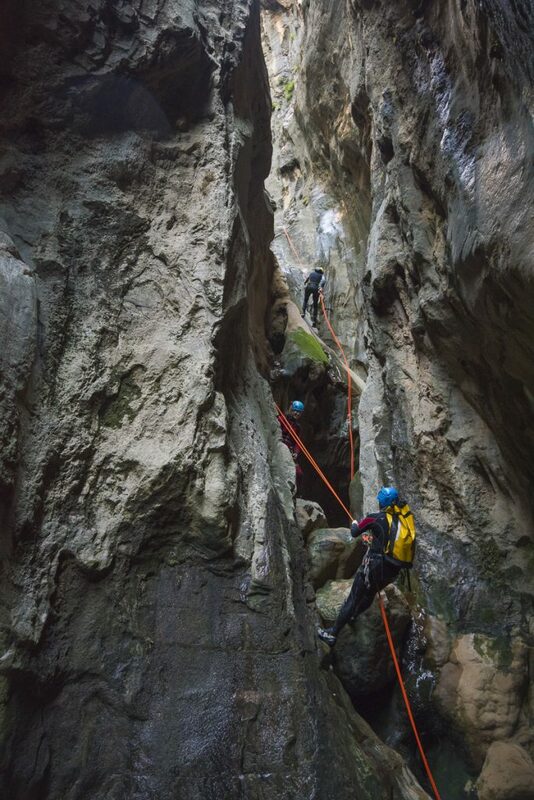 And for whole canyon we needed 5 hours which is not that much since the canyon is 2,5km long with lots of small abseils. I must say those 5 hours were one of the best spent hours in a while. 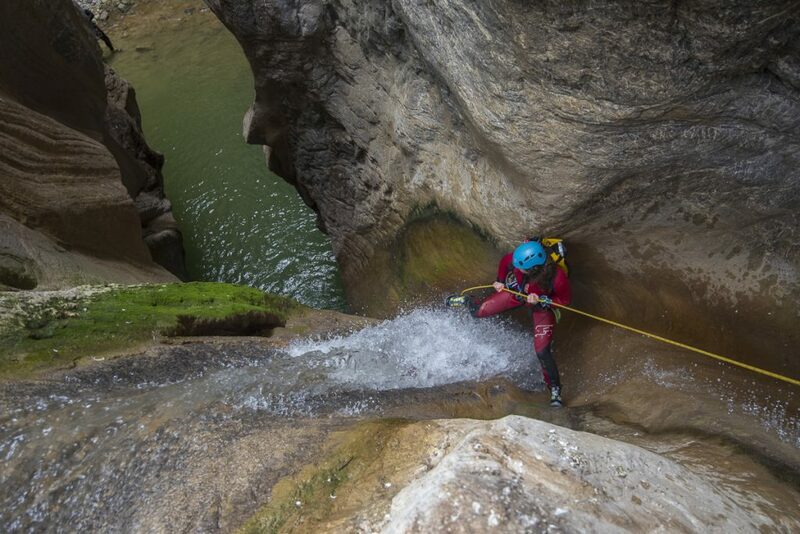 So in the end of a trip I asked myself would I recommend canyoning on Crete. The answer is simple: yes. 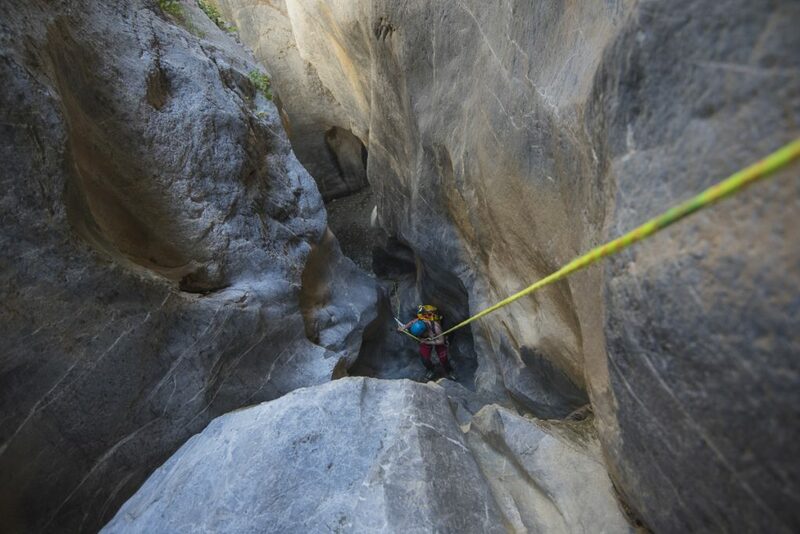 It is nice experience, the canyons are not demanding, very well equipped and beautiful. 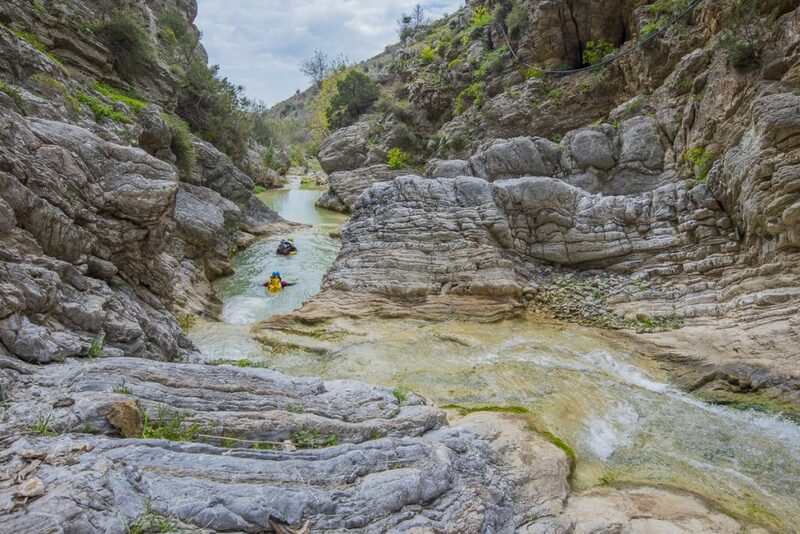 If you expect lots of water you would be disappointed, but the beauty of a canyons just compensates it. And in the end you travel and experience new adventures. 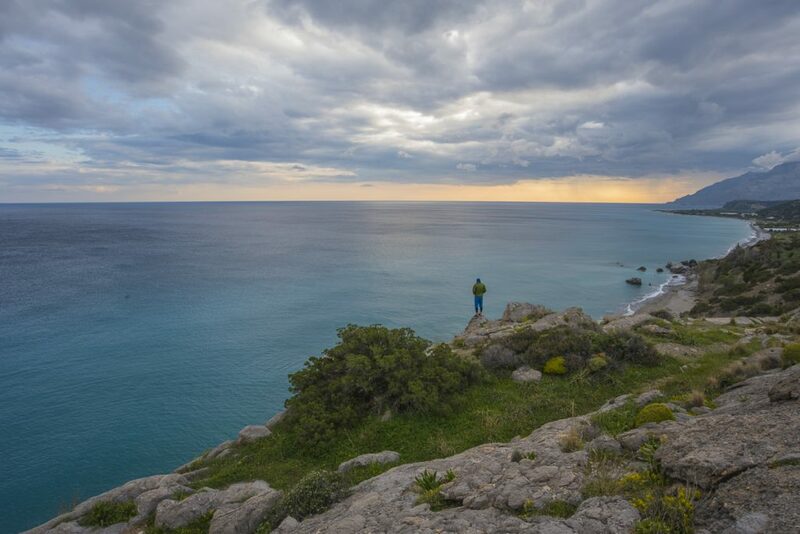 Adventures are worthwile as Aristotle said.